Jeon So Mi said bye to her long hair. 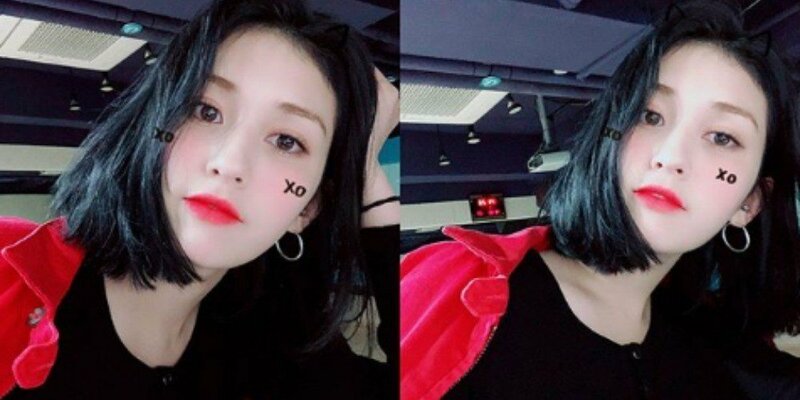 On April 10, Jeon So Mi surprised her fans with a set�of selfies on Instagram. The idol star toned down her hair to black and cut off her long locks. She commented, "I love my�haircut and new color!! Do you? Hope you do cause I'm obsessed. Major hairstyle transformation for SOMSOM." Many are loving Jeon So Mi's new look, commenting, "You look beautiful! ", "Yes girl", "Love itttt." ???? ??? ??? ???? ? ?..